April 14- Oman Air Holidays is offering various summer packages to Salalah, Oman, this year. These five-star packages include: Pay-for-2-and-Stay-for-3-nights for RO109 per person at Hilton Salalah Resort, for RO124 per person at Crown Plaza Salalah and RO111 per person with three free dinners at the Salalah Marriott Resort. Other Pay-for-2-and-Stay-for-3-nights options are at the 3-star Samharam Tourist Village for RO100 located right on the beach and the 4-star Haffa House for RO 89, which is perfectly positioned for shopping. The prices are all inclusive, with return economy class flights from Muscat, free Salalah airport/hotel/airport transfers, 3 nights luxury-stay at a 3 or 4 or 5-star hotel on twin share basis, as well as free buffet breakfast availability. Taxes are only RO4 per person. The offers are valid till June 30. 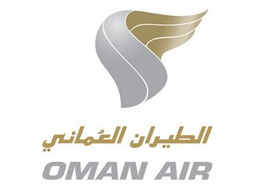 For reservations, go to www.omanair.com.